References: Recorded in the standard texts on the original lithographs of Whishtler by Way no. 26, Levy 42, Stratis, Spink and Tedeschi no. 37.. Note: The "Fortune Figure" watermark was produced mainly by Dutch papermakers associated with Van Gelder and their predecessors. 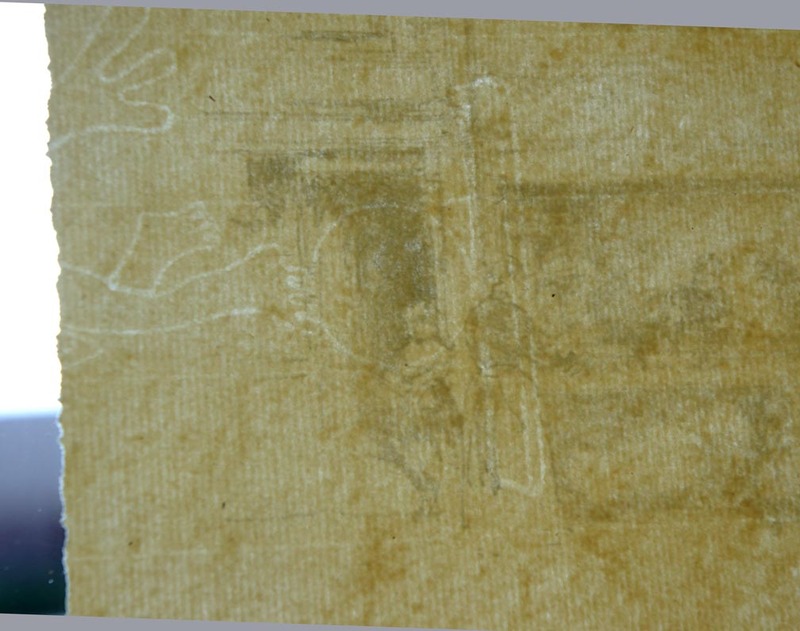 The "Fortune Figure" watermark is seen on paper manufactured up to 1837. The original sheet is divided in such a way as to show one half of the full watermark. 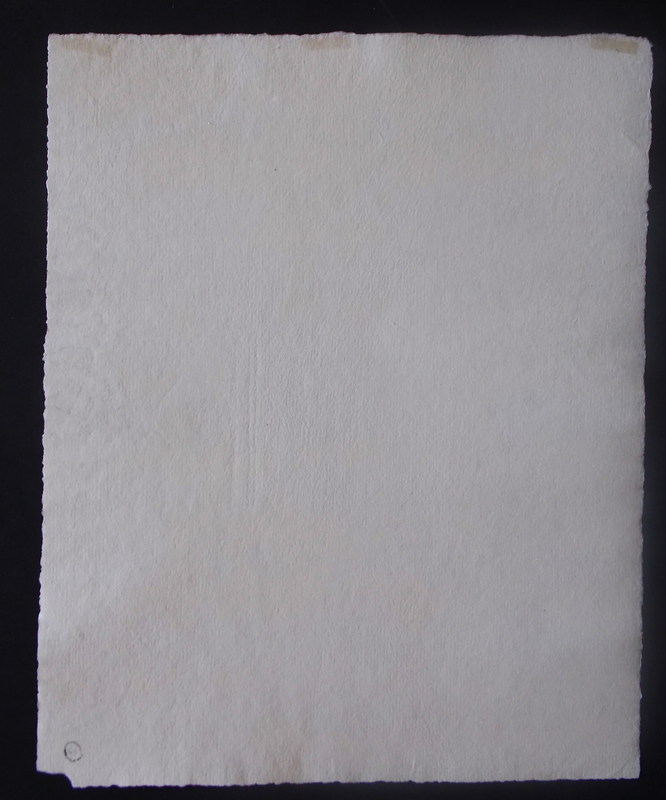 Whisthler often did this to make sure that a watermark appeared on each sheet used for these printings. 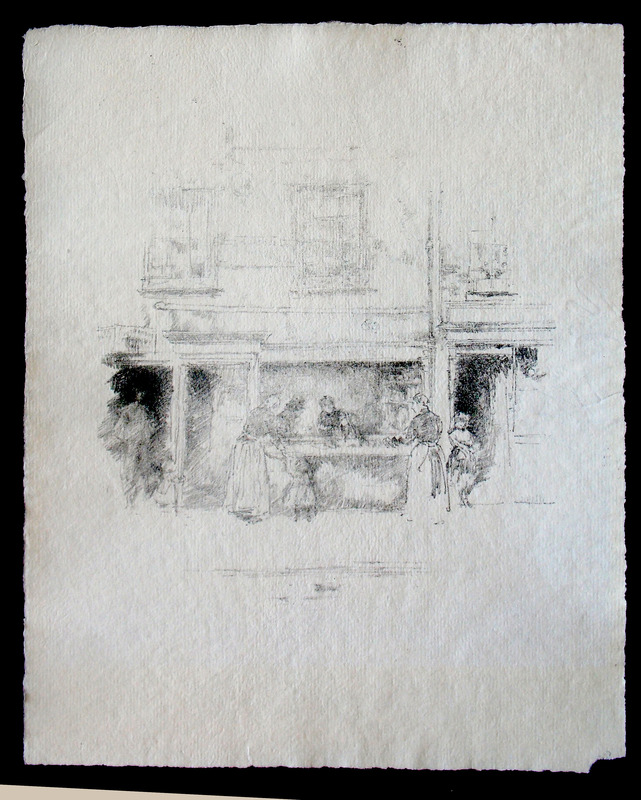 As Whistler was particularly fond of older Dutch papers to print on it can be suggested that this impression was printed on paper associated with the artist during his lifetime. The collector stamp verso is probably the estate stamp, this impression most likely predates the print's large published later editions intended for wider distribution and possibly before the scraping to make the lettering more legible associated with the later editions.